Thierry Henry has been told he will be the “enemy” of France, ahead of their 2018 World Cup semi-final against Belgium. Didier Deschamps, coach of Les Bleus, played alongside Henry on the way to the French winning the trophy as hosts 20 years ago. 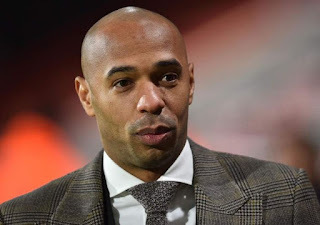 On Tuesday night however, Henry will serve as assistant to Belgium head coach Roberto Martinez, as they face his country for a place in Sunday’s final against England or Croatia. “When you go to a club abroad and play one from your own country, you are part of the enemy team. This time it is much higher. He is on the bench and facing his home nation. “It is a difficult situation. It is not easy for him,” Deschamps told the media on Monday.